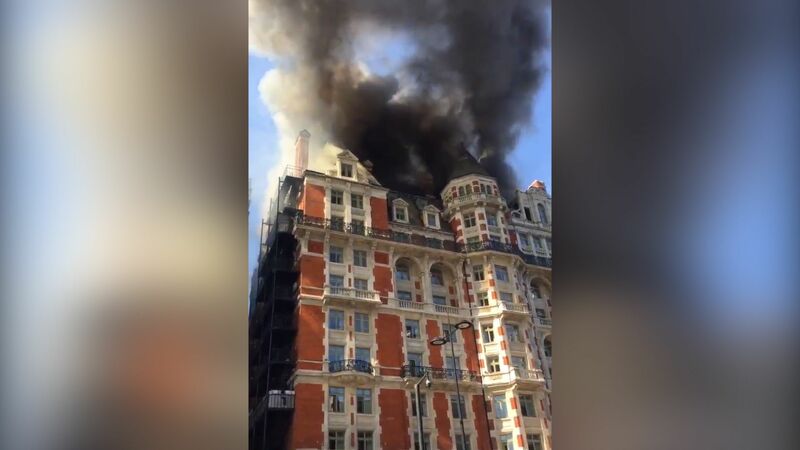 More than 120 firefighters are battling a London blaze that has sent thick black smoke billowing out of the Mandarin Oriental Hotel on William Street in Knightsbridge on Wednesday afternoon. 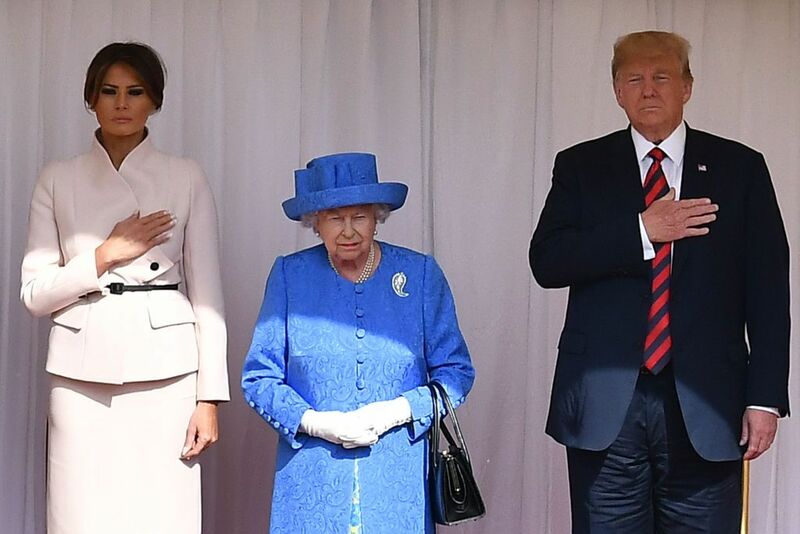 The London Fire Brigade dispatched 20 fire engines to fight a fire on the roof of the luxury five-star hotel in central London near Hyde Park. A spokesman for the emergency responders told the Evening Standard that the "Brigade's 999 control officers have taken more than 35 calls to the fire, which is producing a lot of smoke." The Metropolitan Police told LBC News the 12-floor hotel was evacuated and it is still unknown if anyone is trapped. But the fire service said there no reports of any injuries. Fire crews from Chelsea, Kensington, Hammersmith, Battersea and other surrounding fire stations began arriving at the scene around 3:55 p.m. local time, although the London Fire Brigade did not immediately know the initial cause of the blaze. The Sloane Street entrance to Knightsbridge was closed as crews continue to battle the rooftop flames using ladders and by gaining entry to the building. The Edwardian-style Mandarin Oriental hotel has 173 rooms, 25 suites and was opened as the Hyde Park Hotel in 1902 before being bought and refurbished in 1996 by the Mandarin Oriental Hotel Group and re-opened in 2000.